Professional set of 60 degree Metric. 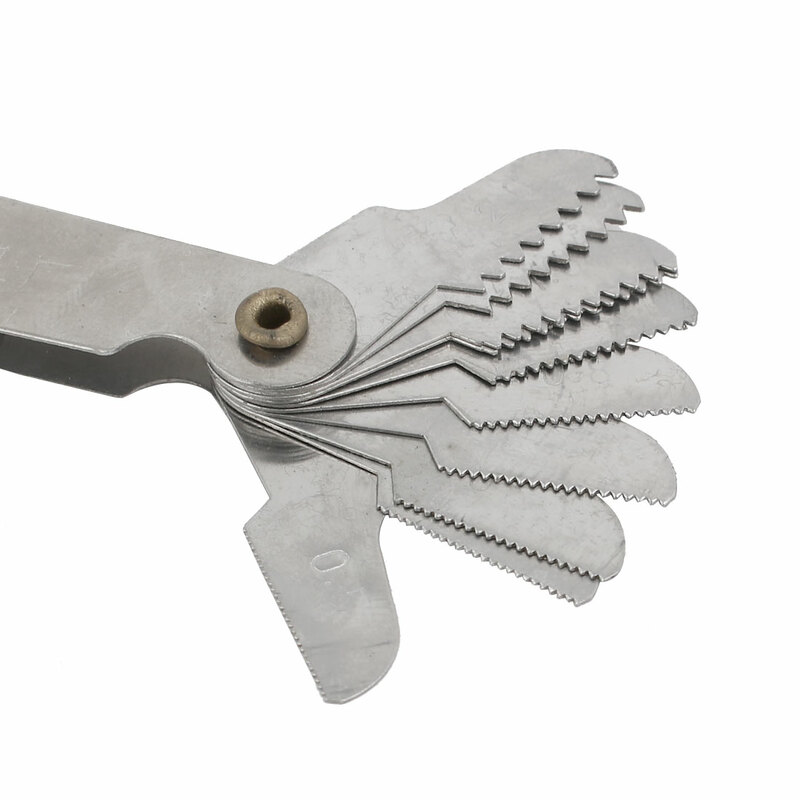 This pitch gauge accurately measures internal and external screw threads with 20 folding leaves. The leaves are individually stamped with accurately formed thread profiles.